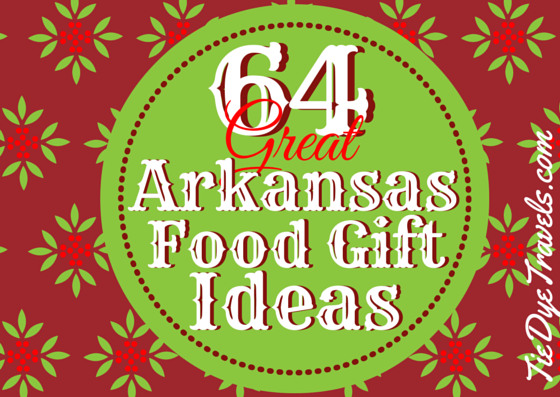 Looking for great giftable foods in Arkansas? 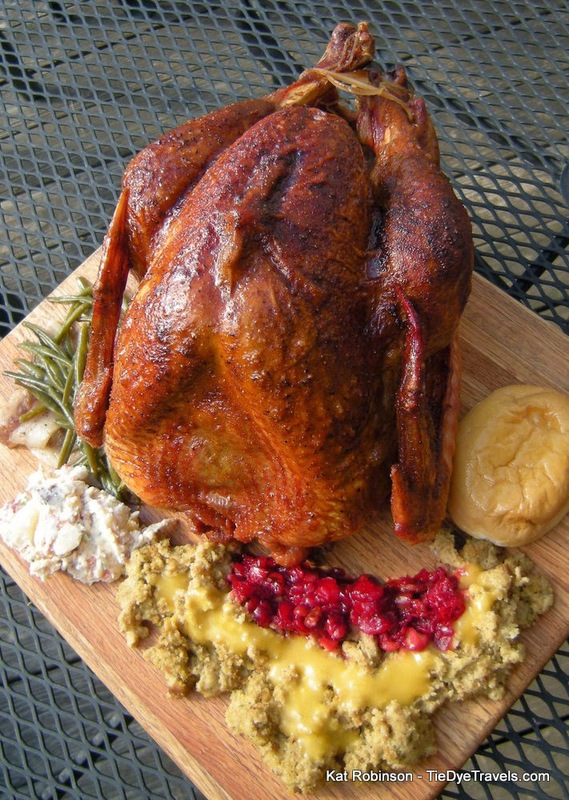 The Natural State has everything you can imagine for the holiday table or for the hard-to-please food lover in your life. Here's a handy list of places in Arkansas that offer items to be shipped by mail to your friends, family and those you wish to impress. Many of these items are also available for local pick-up, if you are so inclined or wish to make your own Arkansas holiday collection. 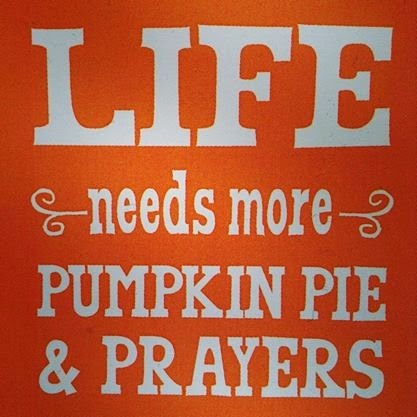 May these suggestions help you in your seasonal quest for the best gifts and dishes to share. NOTE: This list only contains items that can be shipped. There are many other locally produced items, and I highly encourage you to seek them out as well. ALLY’S JELLY. Straight out of Hope, homemade fig preserves, pear preserves, muscadine and Ally-peno (Jalapeno) jellies. ONLINE: Facebook and message or comment for sales. ARKANSAS BEEKEEPERS. Want honey? 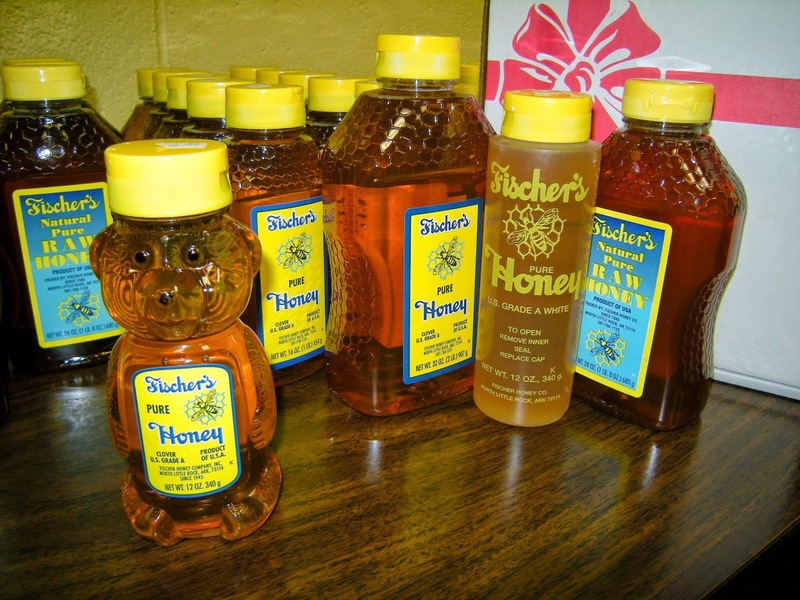 You'll find honey from several different Arkansas beekeepers, including Culp's Pride, K-Bee and Peace Bee Farms. The website also shares places where you can pick up honey without ordering it online. ARKANSAS FOODBANK NETWORK. Give a gift that gives a whole lot. 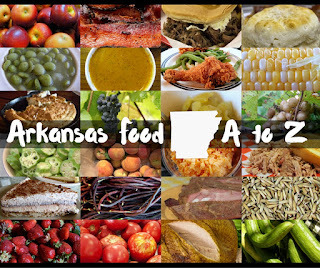 Check out the Arkansas Foodbank Network’s many programs. Every dollar you send can provide four meals. You can also bankroll a food box. ARKANSAS RICE DEPOT. How about a gift that sends an Arkansas product to your loved ones while helping feed hungry families? Check out the Simple Pleasures Gift Shop, which features dozens of different rice mixes and gifts for purchase. Mixes include Presidential Parmesan, created from a recipe donated by President Bill Clinton; Arkansas Dirty Rice and Hillbilly Chili are personal favorites. 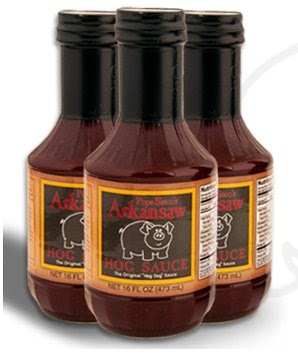 ARKANSAW HOG SAUCE. Ray and Kathy Sisco's award-winning "Popa" sauce is now available online. Give it a shot. BEAR KINGDOM VINEYARD. Muscadine, Scuppernong, Arkansas wines, cherry, pineapple, mango, & berry jellies & jams. The Cherub’s Rapture is a must-try. PICKUP: Old Mill Bread Company, Arkansas Rice Depot, Shoppes on Woodlawn in the Heights. 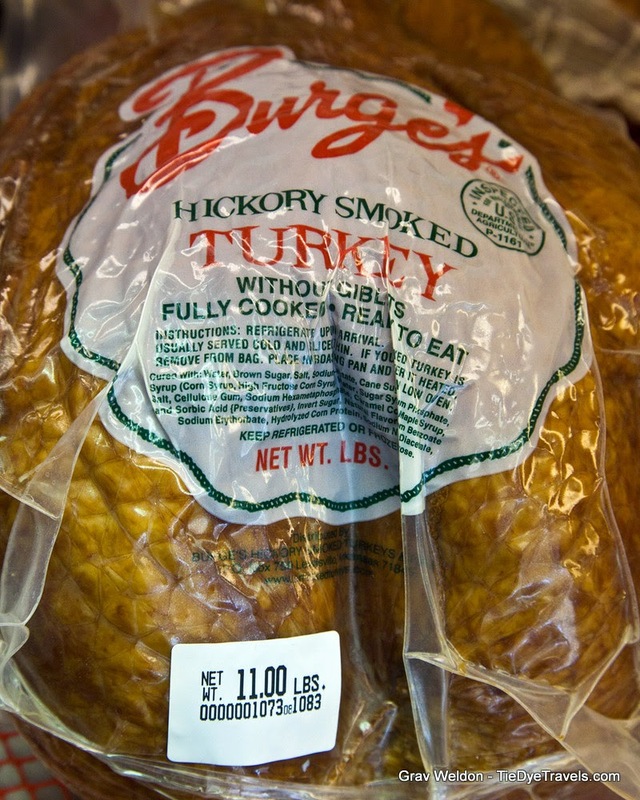 BURGE’S: The Lewisville/Little Rock restaurant is known for smoked turkeys delivered to your door. They also sell hams, ducks, and chickens . If you’re in Little Rock pick it up in the Heights. STORE: Burge’s in the Heights, 5620 R Street. PICKUP: Almost any Arkansas grocery store. COTHAM’S. The famed Scott restaurant and mercantile sells its hamburger seasoning and fish fry mix online. Check it out. PICKUP: River Market Grocery, eggshell kitchen company. COURSEY'S. Even now, there's still no website for Coursey's Smoked Meats in St. Joe -- but they will send you a smoked ham by mail. CROSS EYED PIG BBQ. Six hours of hot smoke plus great meat selection equals a really good ham or turkey for your holiday dinner with no preparation necessary. Ask about sidecars, and put your order in early. STORE: 1701 Rebsamen Park Road in Little Rock. DARLING'S FINER THINGS. This Delta clothier and style shop doesn't make food, but it does provide wearables for those who love food. DIAMOND BEAR. 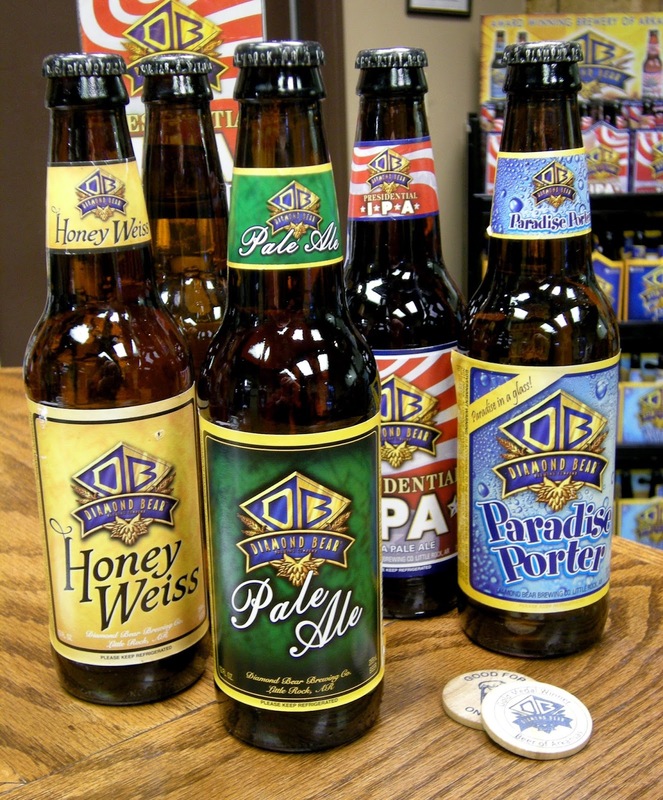 The local brewery still produces great brews, including Paradise Porter, Presidential IPA, Pale Ale, Southern Blonde, Irish Red and Honey Weiss. Can't mail the beer, but there's a lot of merchandise that can be shipped at the online store. STORE: 600 N. Broadway, North Little Rock. DIANE’S GOURMET LUXURIES. 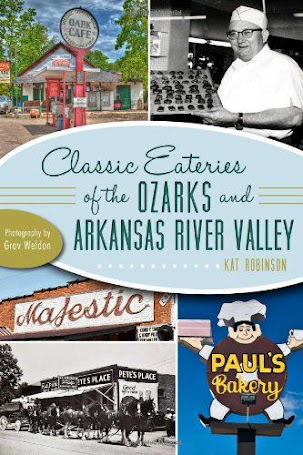 A grand selection of gourmet products, both from Arkansas and around the world, along with take-and-make meals and just-like-homemade desserts. STORE: 11121 North Rodney Parham (in the Market Street Shopping Center). EGGSHELL KITCHEN COMPANY. Want something Arkansas to send for the holidays? Eggshell Kitchen Company is a one-stop shop. 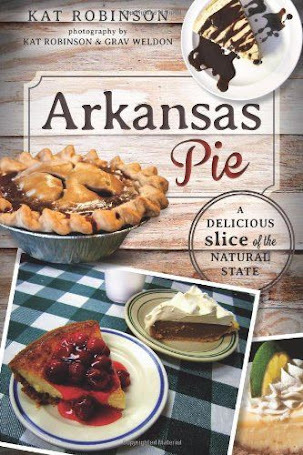 Cookware, books, Arkansas products and more, all available online or in the store. FISCHER. The family-run honey supplier has roots back to the 1930s. Though it's a lot bigger than its original plant, the Fischer facility is still located in North Little Rock. STORE: 2001 North Poplar in North Little Rock. PICKUP: Most Arkansas grocery stores. FRESH BEANS. By-the-order roasted coffee beans from Eureka Springs. Many local restaurants carry blends from Fresh Beans, and you can get it yourself. GIFTS OF ARKANSAS. 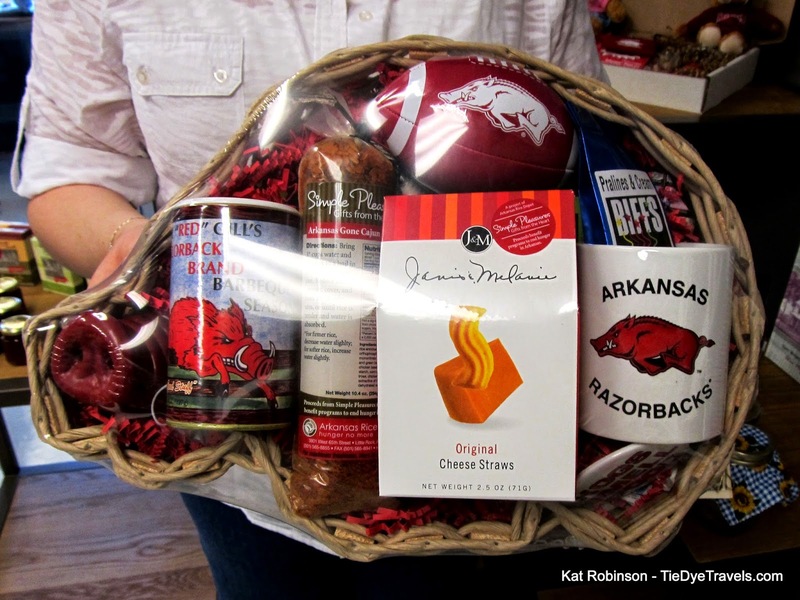 Exactly what it says on the tin -- sending baskets and packages of Arkansas products to anyone you wish. Carrying everything from Ally's Jelly to Wiederkehr oils and vinegars. GOURMET EUREKA. The cute little shop on Center Street in Eureka Springs offers all sorts of great items both in store and online. 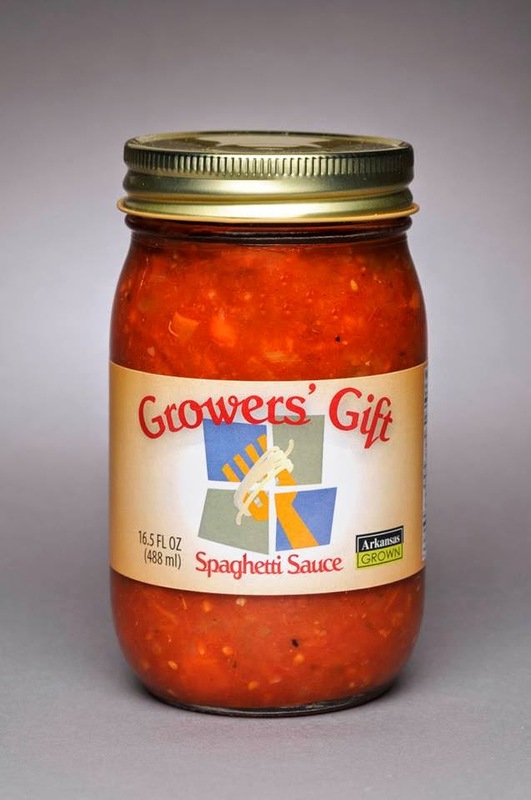 GROWER'S GIFT SPAGHETTI SAUCE. This locally produced spaghetti sauce made with Bradley County pink tomatoes from a Scott McGehee recipe has been jarred by the University of Arkansas's food science folks benefits the Arkansas Hunger Relief Alliance. 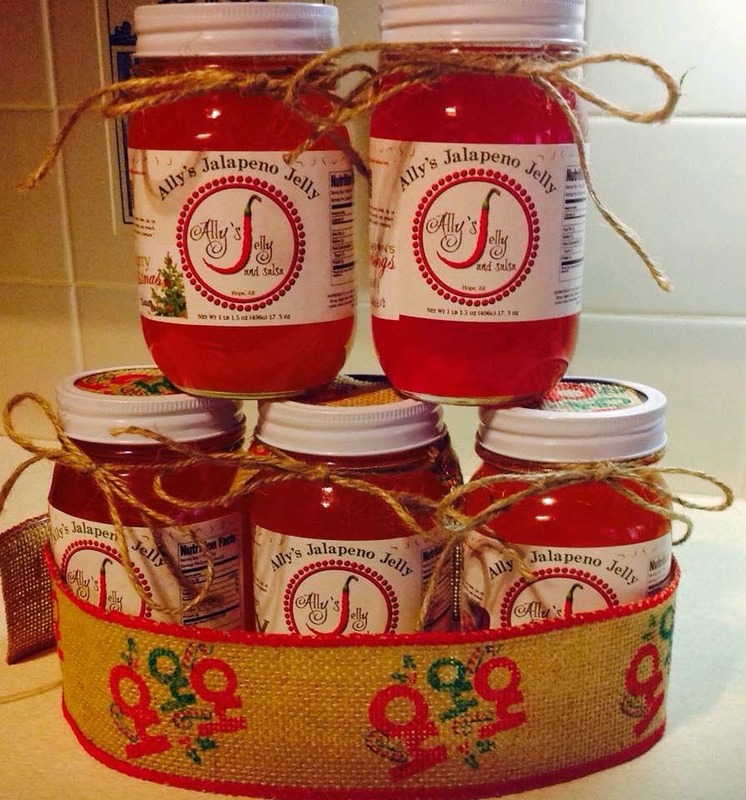 Get your jars or gift basket by calling (501) 399-9999. More information here. HAWK AND HORSE. If you're in Fort Smith and you like coffee, you're in luck. The folks at Hawk and Horse will not only roast your beans when they're ordered -- they'll deliver them to your door. Outside the area, they do ship. HONEYSUCKLE LANE DAIRY. Arkansas's only raw milk cheese producer is offering two gift boxes this year in coordination with RoZark Hills Roasterie -- and just ordering cheese is also welcome. Contact through Facebook or call for orders. HOUSE OF WEBSTER. If you can’t find what you’re looking for in a jar, chances are you haven’t checked out this Northwest Arkansas favorite. Offering everything from jams and jellies to condiments and barbecue sauces, along with bacon and mixes, House of Webster's variety should satisfy your pantry needs. J&M FOODS. 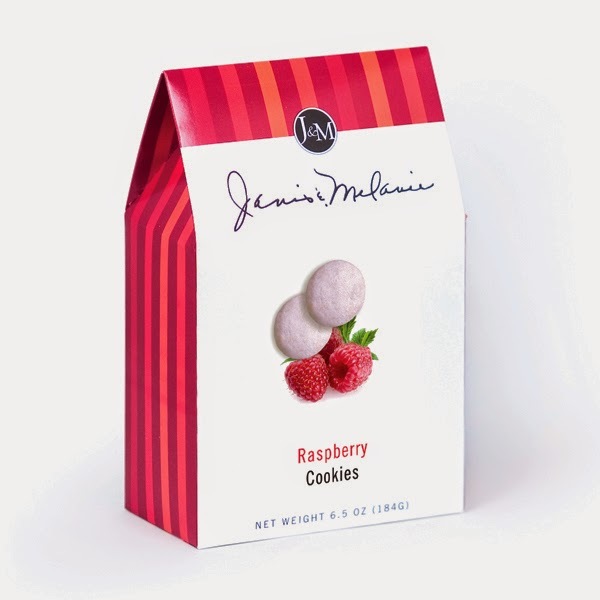 Best known for cheese straws, J&M also offers those amazing little addictive sugar-coated tea cookies in flavors such as lemon, raspberry and Key lime -- and larger, fatter chocolate chip cookie varieties. They ship from right here in Little Rock. JUANITA’S CANDY KITCHEN. Peanut, pecan or cashew, this Arkadelphia candy maker still packages up buckets of brittle every year. A popular gift for out-of-towners. SHOP: 47 Stephenwood Drive in Arkadelphia. KENT WALKER CHEESE. 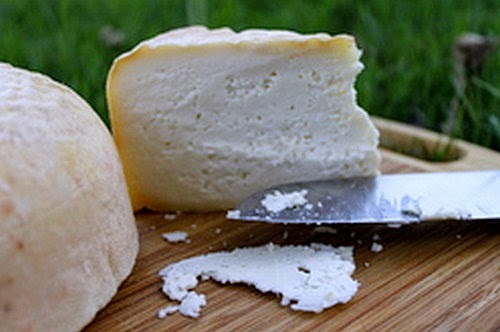 Artisan cheese made right here in Little Rock in many varieties (Ophelia's my favorite) -- now available by mail order! KOPPER KETTLE CANDIES. The longtime Van Buren mainstay also has a showroom in Fort Smith. 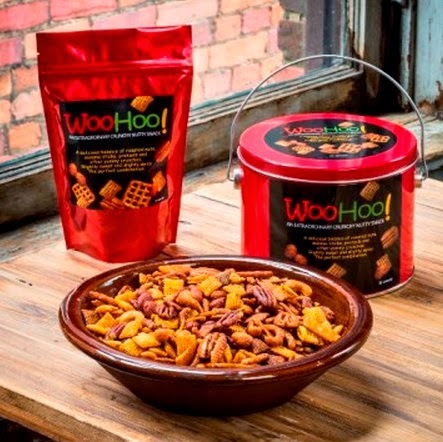 Best known for Ozarkies (vanilla cream centers covered in nuts and both milk and dark chocolate), Kopper Kettle makes everything from truffles to candy canes, and they do ship. Right now the website appears to be down, but you can contact through the Facebook page. LAMBRECHT GOURMET. If you haven't tried these marvelous chocolate-covered toffees, you are missing out. David and Nancy Smith's award-winning artisan toffees are mouth-watering and addictive. And they ship just about anywhere. LIZ & LINDA’S. Original (green from bell peppers), golden pecan and hot (red from red bell peppers and jalapenos) pepper jellies that are a traffic signal's worth of great jams for your condiment selections. Really, really good -- and they're made in Harrison. MARKET AT CAPERS. This gourmet-to-go location alongside Caper's on Highway 10 in west Little Rock also offers gourmet oils, pestos, pastas and sauces. MARTIN GREER’S CANDIES. The little candy shop between Rogers and Eureka Springs on Highway 62 makes amazing caramels and decent pecan pralines for shipping -- and only ships in the cool months. The recipes date back to the 19th century, and are free from preservatives. Chocolate barks, chocolate-covered nuts and more. 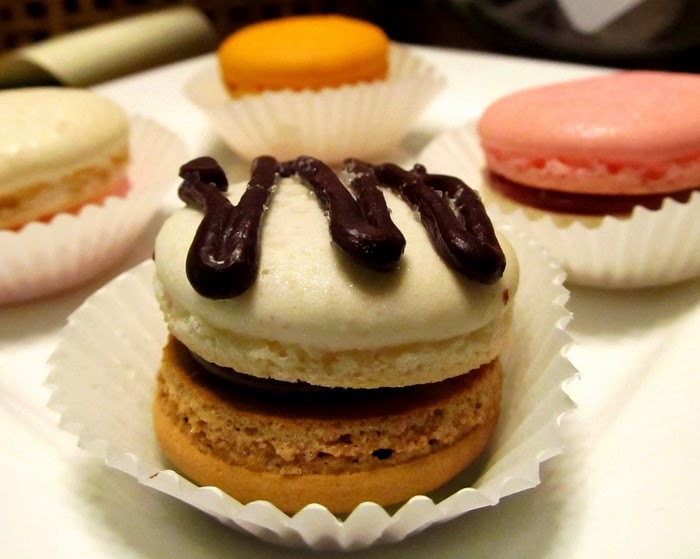 MARYCLARE MACARONS. These amazing little bite-sized meringue cookies were originally conjured for a wedding -- and now you can get them any time you wish from Hot Springs. 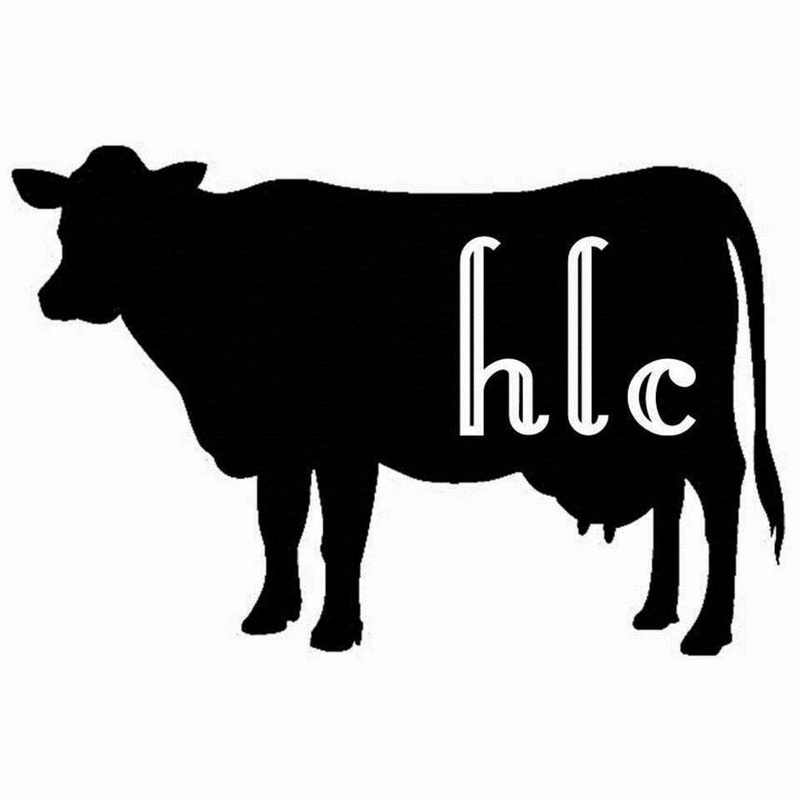 SHOP: Savory Pantry, Hillcrest Artisan Meats, Terry's Finer Food, Boulevard Bread Co.
MASON CREEK FARM. Fine organic-raised pigs from Yorkshire and Tamworth stock that root for hickory nuts, acorns, roots and shoots on a Fayetteville area farm. Order brats, cheeks, chops and more online. McCLARD’S. The slightly thin and graciously spicy sauce is available for purchase by the bottle at the famed Hot Springs barbecue shop's online store. STORE: 505 Albert Pike in Hot Springs. PICKUP: Savory Pantry, Clinton Library Store. MONK SAUCE. Father Richard Walz brought back Habanero pepper seeds from his tenure in Belize, and planted them at the monastery at Subiaco. In 2003, Monk Sauce hit the market. This incredibly hot sauce is for the heat lover in your life. Pick up some Abby Brittle while you're at it. MOTLEY'S FUDGE KITCHEN. You may know Motley Farms for Christmas trees, but there's also a great number of fudges to choose from as well. MOUNTAIN VALLEY WATER. The regular and sparkling varieties have been around for generations; new flavors such as lime and blueberry-pomegranate are just as good. PHONE: (501) 442-8221. PICKUP: Mountain Valley Spring Water Visitors Center, Gifts of Arkansas. MY BROTHER'S SALSA. Send a gift of chips and dip from this Rogers area salsa maker. Salsas come in such flavors as Black Bean and Corn, Cranberry Orange, Tomatillo and Fire Roasted. NEIGHBOR'S MILL BAKERY. Harrison's best-known bakery is a great place for a bite to eat, but did you know they also ship their cakes and breads? 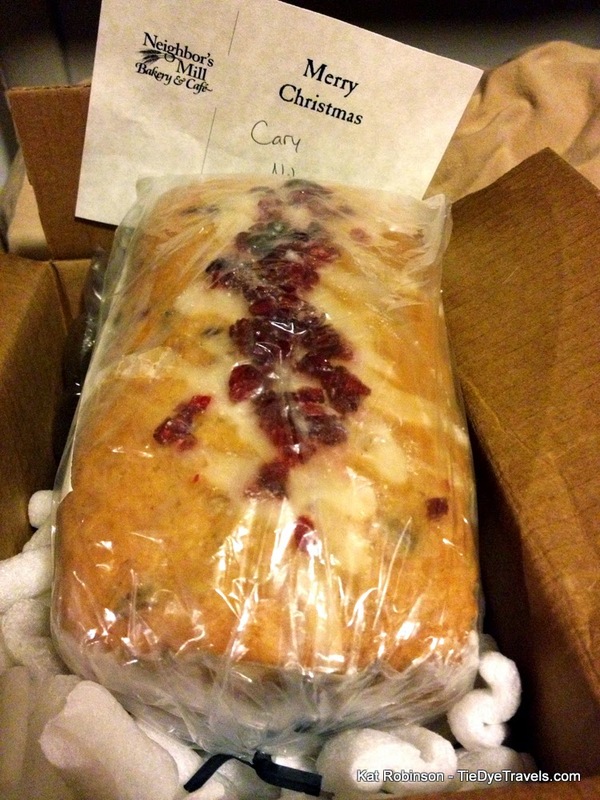 You can also get a bread-of-the-month order placed to keep your gift on giving throughout the year. OZARK COUNTRY MARKET, This neat little shop on the south side of Heber Springs offers every manner of jam and jelly, pantry staple, freeze-dried vegetable, fudge, pickles and cheese you can imagine in one little country store. They also offer many of those items online and will send along gift baskets, too. PANCAKE SHOP. The 70+ year old Hot Springs mainstay also offers its famed ham, sausage, apple butter and coffee for sale. PATTICAKES. Known for making the breads and cakes for Stoby's, Patticakes also does gourmet-to-go and fudge. The fudge is mailable -- and laudable. 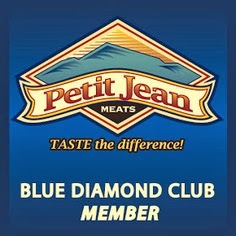 PETIT JEAN MEATS. The Arkansas standard, you can find bacon and hot dogs most anywhere. 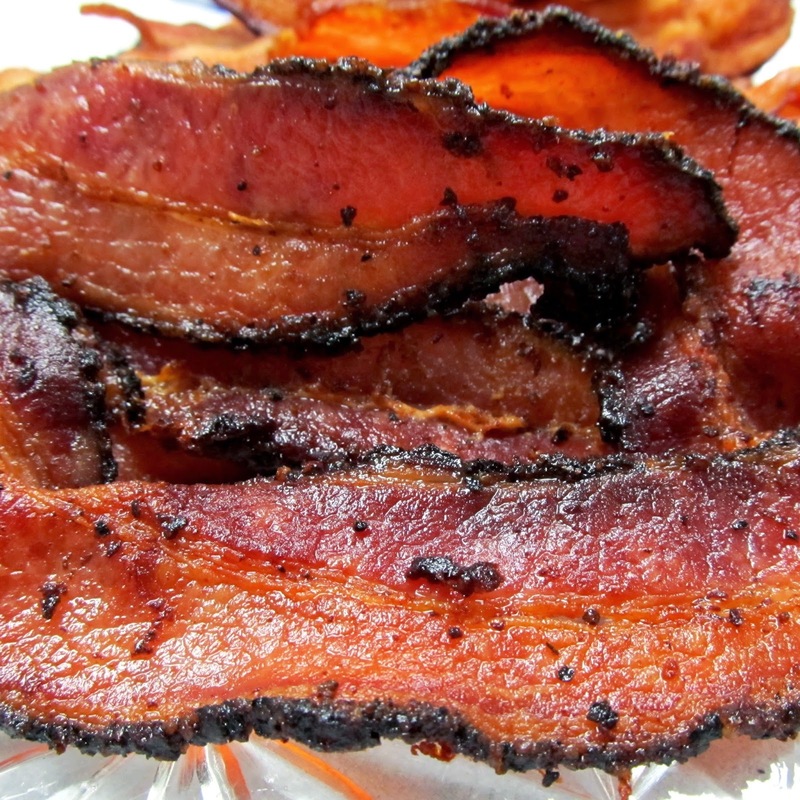 Order and send a gift box of ham, bacon, or sausage just about anywhere. POST FAMILIE VINEYARDS. While you can’t ship wine online, you can pick up great juices and jellies from the family website. Head to the store in Altus for more, including wine and wine gifts. STORE: 1700 St. Mary’s Road in Altus. RAILWAY WINERY. The new Eureka Springs winery is back in business in a new location. Many wines available. RATCHFORD FARMS. 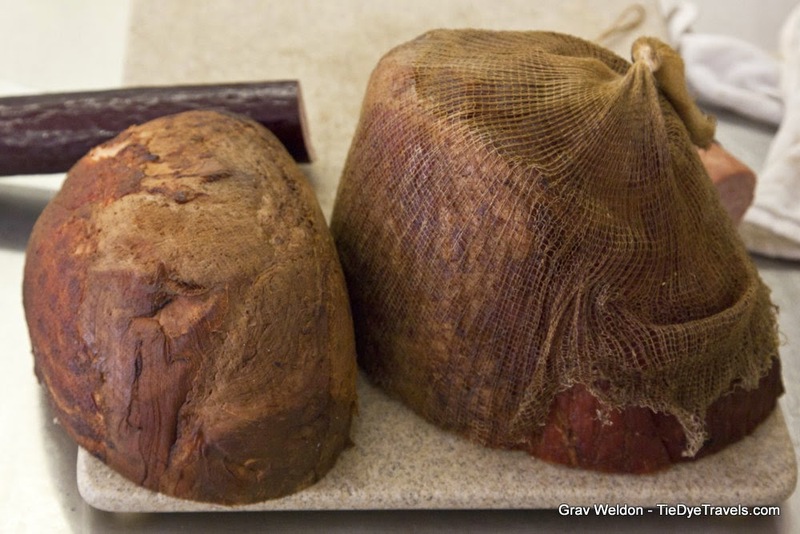 Elk and buffalo, mailed to you frozen in roasts, steaks, sausages or ground meat. Also, heritage beef. PICKUP: Jerky available all over the state. RICELAND FOODS. Rice, rice mixes, rice bran oil, rice gift sets -- go check out the brand new Riceland store online for all sorts of great products to share Arkansas with everyone else. ROBBI’S SALSA. This salsa out of North Little Rock has that right balance of spices, tomatoes, and peppers without a whole lot of heat. ONLINE: At Eggshells Kitchen Company and Robbi's Salsa on Facebook. PICKUP: Eggshell Kitchen Company, Clinton Library Store. ROCKTOWN DISTILLERY. Arkansas's premier distilling facility -- go take a tour and experience some Arkansas Lightning. ROZARK HILLS. A family roaster that also roasts to order and can be picked up at several places around Little Rock. The Southern Supper blend is great with desserts. SAVORY PANTRY. The gourmet shop that started by selling Pancake Shop products now features all sorts of items from around Arkansas and around the world. Best place to pick up products by Arkansas Pantry, Richard’s Honey, Fresca & Bella pasta sauce and more. Stop by and check out all the daily samples of dips, preserves, and assembled recipes. STORE: 214 Central Avenue in Hot Springs. STONEBROOK FUDGE FACTORY. Fudge, taffy and dozens of other sweets, all from the heart of Mountain View. The fudges are magnificent. STUBBY'S BBQ SAUCE. The famed Central Avenue barbecue shop open since 1952 in Hot Springs offers its sauce for shipping just about anywhere. SUZANNE’S FRUIT FARM. Peach butter, Doubleberry spread, blackberry syrup -- there are a lot of great fruits found in jars from these folks, who grow their own in Hampton. Order an Arkansas-made basket in the shape of a Razorback or the state itself, packed with jars and bottles of great fruit delights. SWALTY KERNEL. Kettlecorn, anyone? This Fayetteville corn popper has hit upon what might be the best ratio of sweet to salty you can find in this fluffy treat. SWEET'S FUDGE KITCHEN. Turtles, nut clusters, truffles and fudge all come from this Spring Street store in Eureka Springs. Open since 1969, Sweet's now has an online presence where you can order your favorites. TOWNSEND SPICE AND SUPPLY. Want to make your own sausage? Need a certain spice for your rub? This is the place to get it. Operating in Melbourne, this spot carries everything from cures to casings, and it's all available online. TREATSIE. 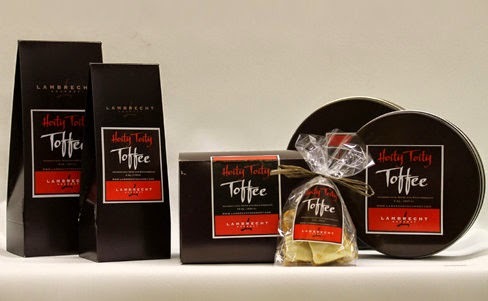 The new Little Rock sweets-to-you company collects sweet things from all over the place (including Lambrecht Gourmet toffee) and sends out the same. Monthly subscriptions are available. TWO DUMB DAMES. Fresh cream fudges are headliners at this popular shop on South Main Street in Eureka Springs, along with homemade S’mores, turtles, and English Toffee. WAR EAGLE MILL. All organic grains ground onsite and available to you at reasonable prices. Really good deals on packages and baskets for those on your gift list. STORE: On Arkansas 303 north from Highway 412 between Springdale and Huntsville. WESTROCK COFFEE ROASTERS. This North Little Rock-based company works directly with its growers in Rwanda and Tanzania to bring beans here to roast. Varieties are available in different grocery stores, but there's also a robust online store with gift sets and more. WICKED MIX. 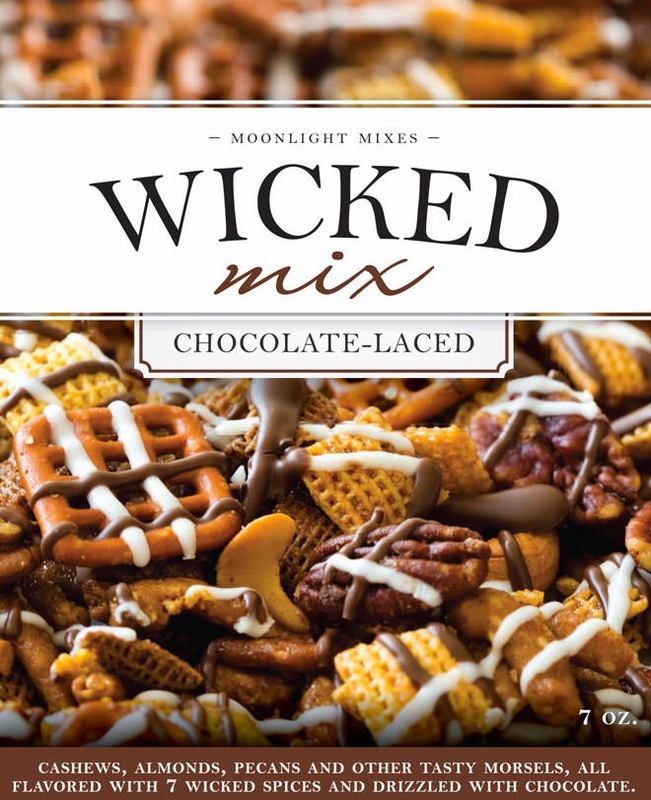 Salty, spicy, sometimes even chocolate-y, this Little Rock-produced snack mix is an easy win to stuff anyone's stocking. WOODY’S. 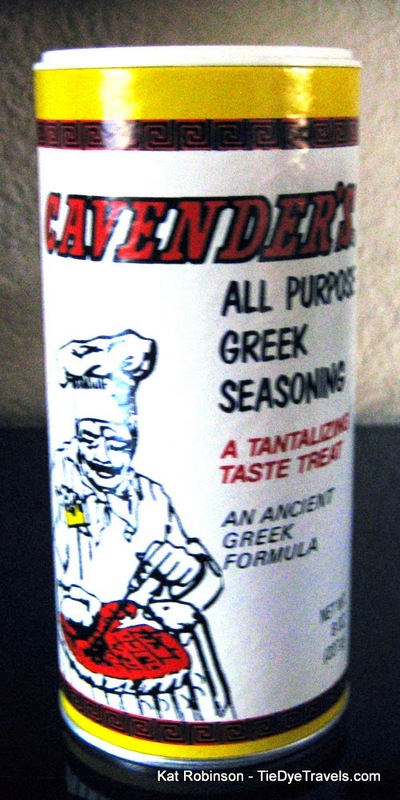 The Waldenburg-originated spice adds truly Arkansas flavors to ribs, roasts and pork butts; the makers will also tell you to put it on meatloaf, chicken, and anything else that can be thrown on a grill. WOOHOO MIX. Sesame sticks, roasted nuts, pretzel sticks, a great sweet and salty mix with or without chocolate. This one's a real winner. Sixty-four items not enough? Here are some more! 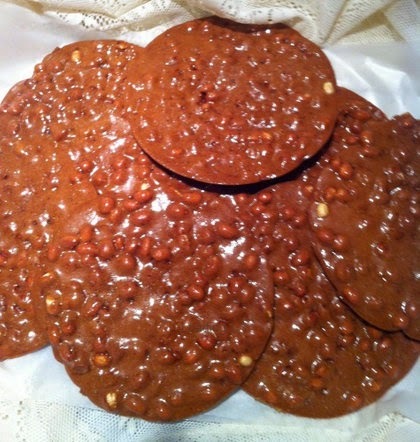 DEBBIE'S GOURMET ENGLISH TOFFEE. Pure cane sugar toffee enrobed in chocolate, in Fayetteville. R & G CANDIES. Down in Star City, R and G's candies is making marvelous confections and brittle -- including coconut pecan brittle. 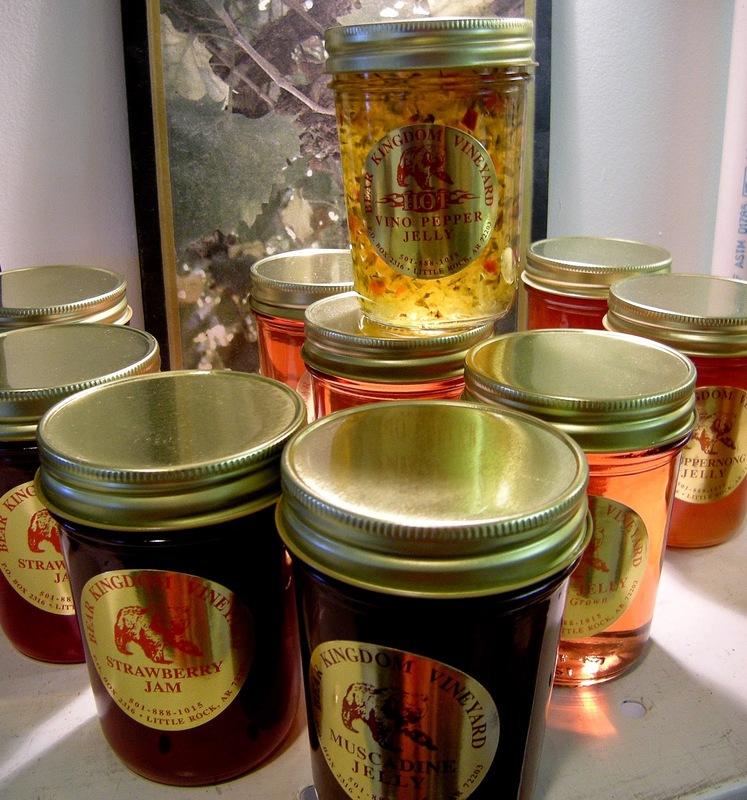 Richard's Apiaries does honey, too, right out of Benton. Stone Mill Bread and Flour Co.
And, a humble plug... 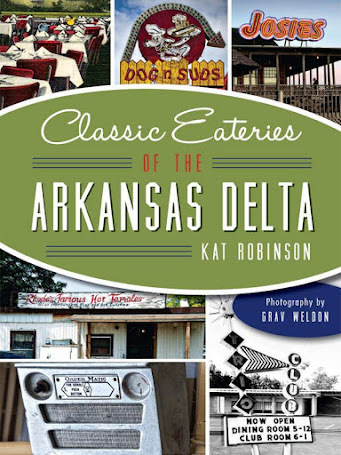 I have books about food in Arkansas that might also make a great gift. Thank you so much for the shout-out, Kat! 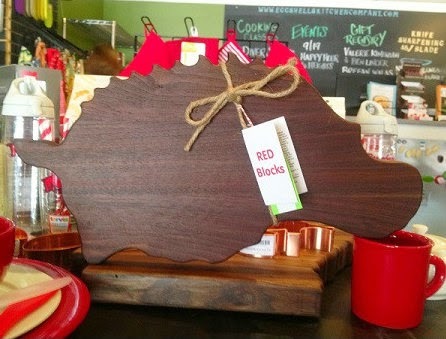 We at Eggshells Kitchen Co. love everything about the Natural State & are so excited to carry so many Arkansas products! Love this helpful list. I really appreciate you pulling all of the info together. That is a long list! So many I didn't know about!! Hog Sauce is amazing!! So many wonderful food gifts from Arkansas. Makes this food nerd proud of her home state! Very interesting and I learned something new today about a product made in Arkansas. Great gift ideas, also. Thank you! I patronize House of Webster a lot to get gifts for out of state folks.